Prior to May of this year, I really wasn’t familiar with González Byass apart from Tío Pepe. 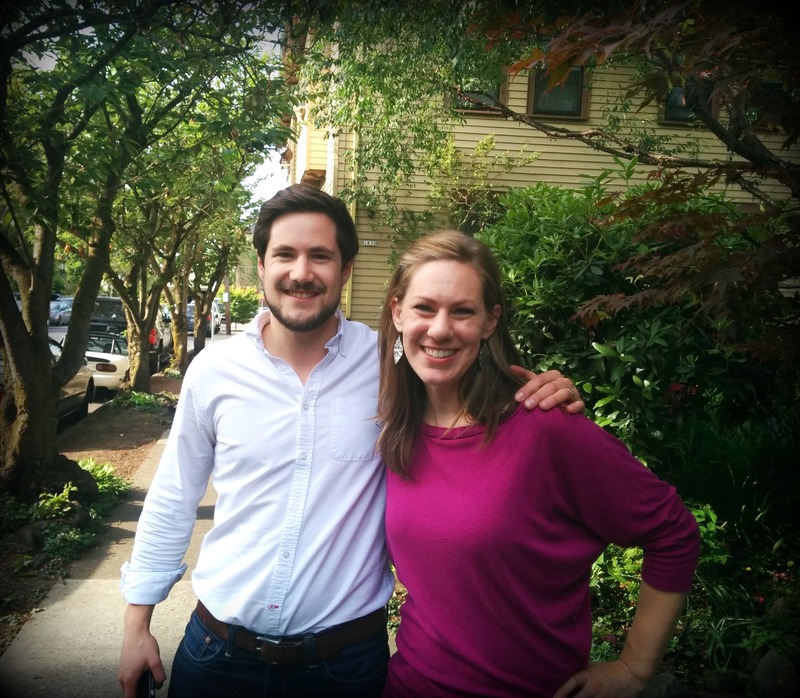 It was Christopher Canale-Parola who arranged a private tasting for me in the bodega. Recently, I had the unique opportunity to interview Christopher about their Pillars of Jerez YouTube series. Here’s what he had to say about their wines, and working with wine expert, Antonio Flores. Seana – Are you just sherry focused, or do you represent all of González Byass products? Christopher – I work with all of them. We have six wineries in Spain, and we have an expanding spirits line. For quite a few years now, we’ve been producing a gin called London No 1 Gin. We have a vodka. We’ve been making brandies forever; Lepanto and Soberano, beautiful brandy de Jerez. Then of course Nomad whiskey, which is our newest baby, which is very exciting. It’s a very old company and innovative since the beginning. S – As soon as I open a bottle, the smell instantly takes me back to Jerez. C – You’re absolutely right! It’s so distinctive; it really isn’t like anything else. When you get that real oxidative nose, or when you get that acetaldehyde kick, or whatever, it can only take you to one place. Really in the world there are very few places like Andalucía. And of course sensory memories are the strongest. So, you get that smell, and it takes you there emotionally before it does mentally. 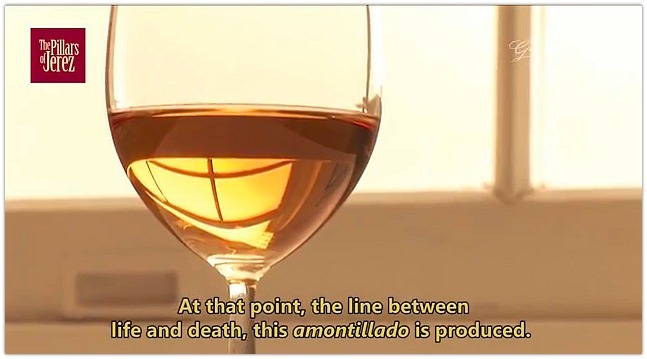 Because sherry is so distinct, it has that ability. When you see someone playing the flamenco guitar, when you see the streets of Jerez, or when you see the white Albariza soil, it’s just so different to anything else. It can only take you back there. C – We go into detail about one video per wine, but we just do three wines. Maybe if we had time we would have done more. Within that range, I think those three have a real interesting story to tell: Tío Pepe which is an icon, Viña AB which is one of the few traditional amontillados, and Leonor which is a dry, textbook-classic Palo Cortado. S – Once these nine videos are released, are you already in the works for something more? Or are you seeing where this goes? C – We’ll see. We haven’t got anything planned with regards to more videos of this type. Antonio was born for the camera. He was born for people. He was born for tastings. No doubt he will continue to do many other cool things. I don’t know if you remember the story, but he was born in the winery. His dad was head of Board of Direction of González Byass. Often people shy away from what their parents do, especially if their parents are really good at something. The thing about him is, he originally wanted to become a sailor; he wanted to be in the Navy. So he did that. He went off and joined the military; did the Navy for a little bit. Then his number-two career choice was being a writer. He thought about being a journalist and creative writer. Then he fell into wine making, because it was almost inevitable that he was going to do that. But the fact that before that, he had this desire to be a writer and create, that’s something that shows in his tastings. When he references literature, or when he creates these beautiful images in his communication, that communicates concepts really powerfully to people. So, yeah I’m sure that he’ll continue to do other videos. He’s the perfect person to be doing them. I hope you watch each video in the series! 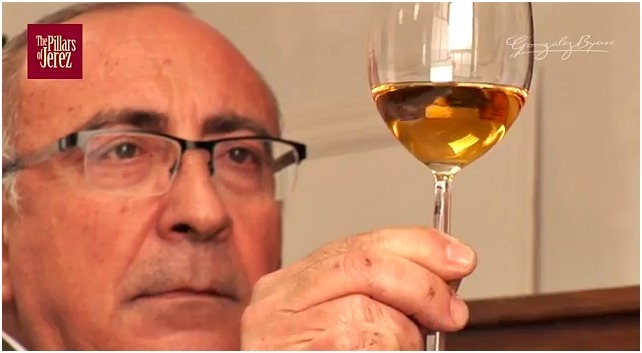 Even better – watch the videos while drinking a glass of sherry from González Byass! The rest of our conversation can be found in my archives under What Is Sherry.